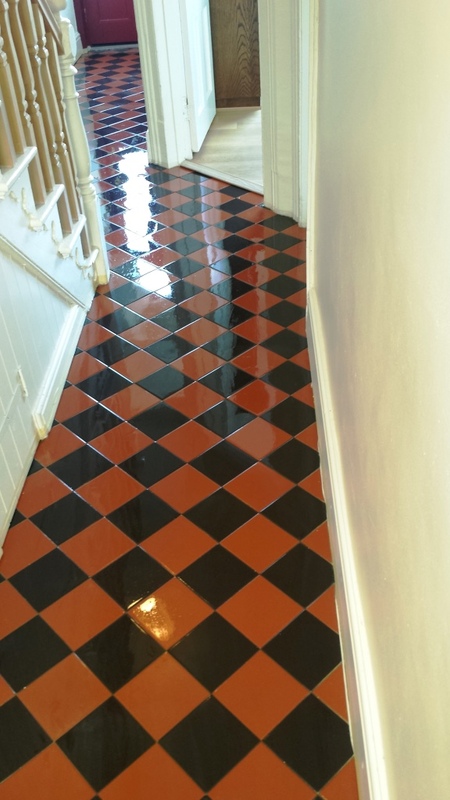 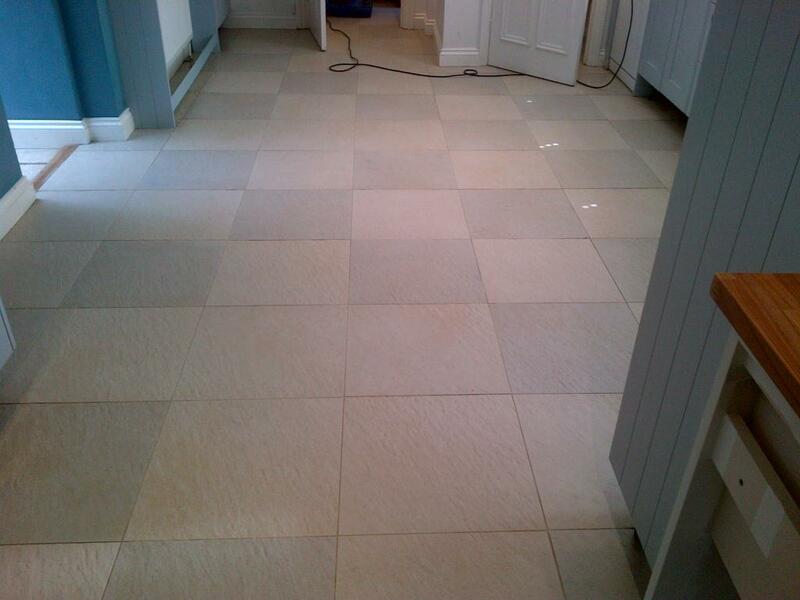 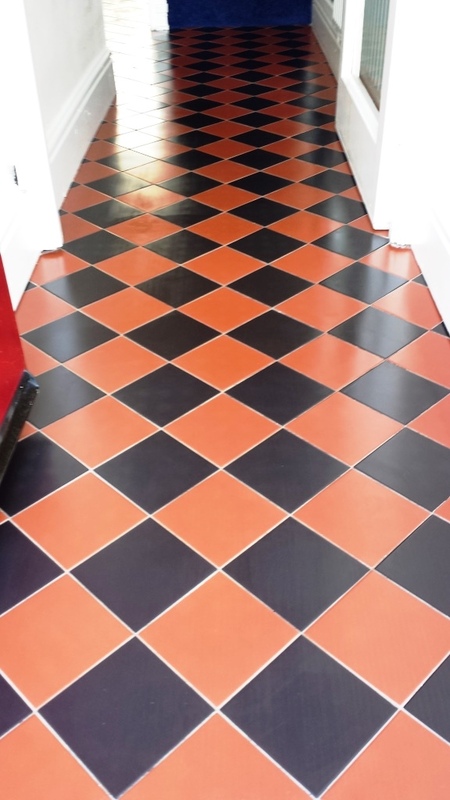 This Ceramic Tiled Floor was in Penarth near Cardiff, the tile were 150 mm x 150 mm red dust pressed composition, known as versatile as it can be laid on both sides sometimes found around swimming pool areas due to their non-slip raised definition. 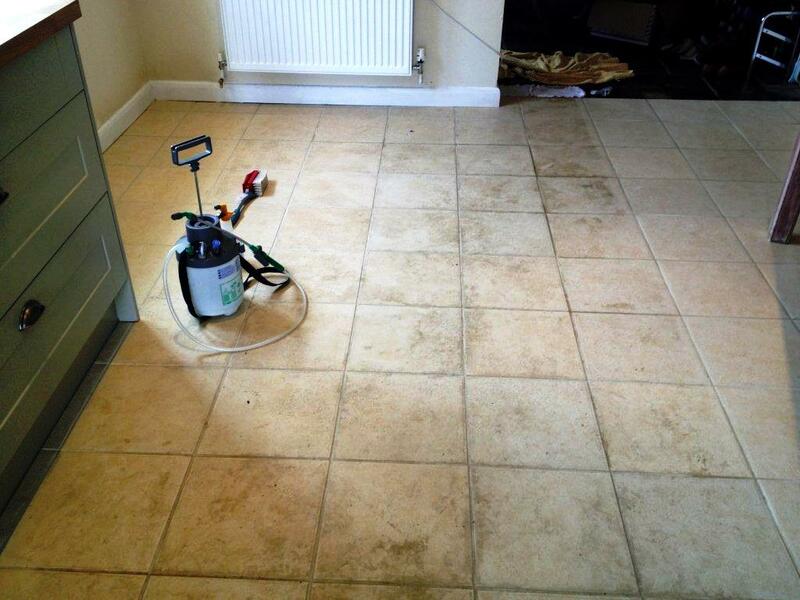 The floor was looking a bit tired, so the customer asked if they could be revived. 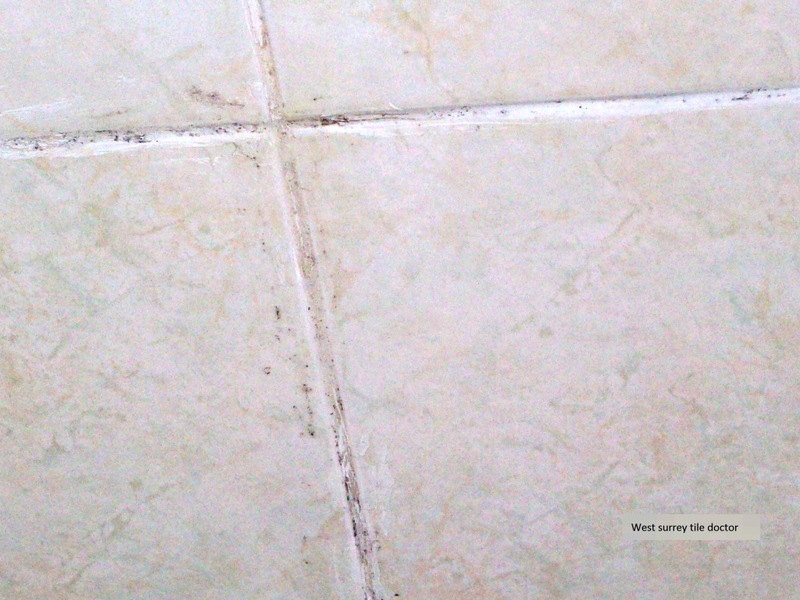 I did an inspection of the floor and noticed the grout was loose at the lounge doorway and this had to be re-grouted after my wet vacuum sucked it out part way through the cleaning process. 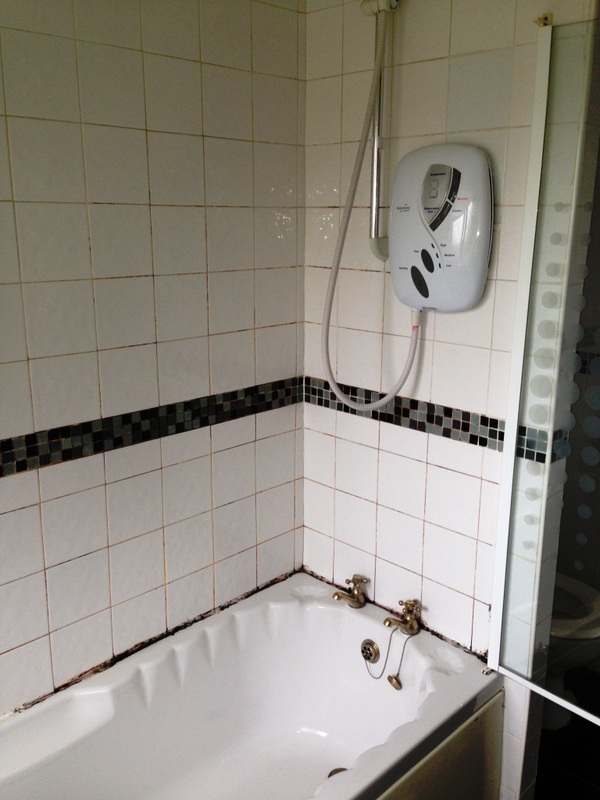 First of all I tested for moisture which read very low, which was good news as it meant I was not going to have any issues with moisture in the tiles. 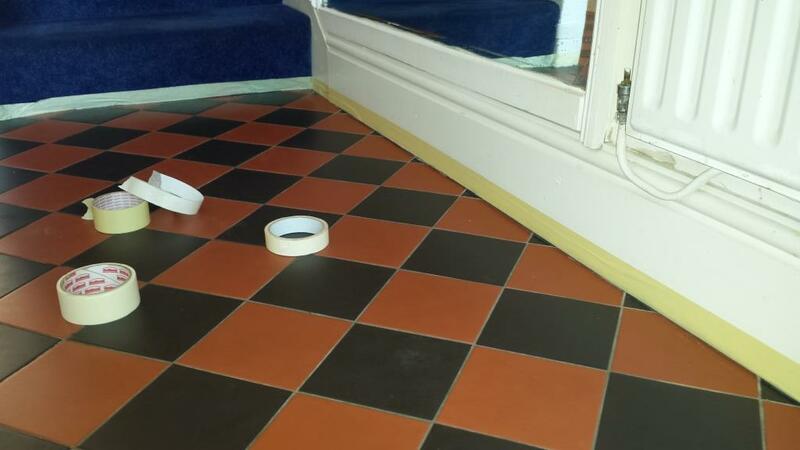 I then applied masking tape to the skirting and carpet riser at the bottom of the staircase; I always protect these areas as once I removed a little paint on another customers skirting with Tile Doctor Remove and Go and so I deducted £50 .00 off the bill by way of compensation. 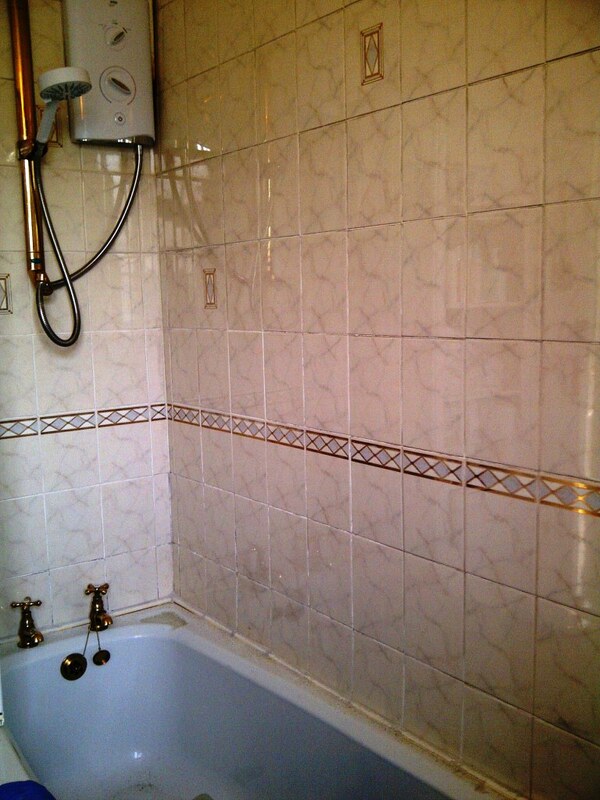 I then covered the floor with Tile Doctor Remove and Go let it soak in for half an hour, the floor was then rinsed twice and then to clean the grout I applied with Tile Doctor Pro-Clean which was then scrubbed into the grout joints; it was at this point some lose grout came away. 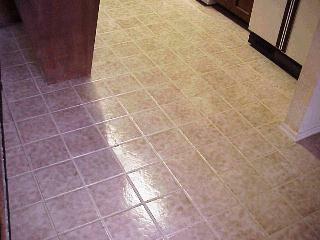 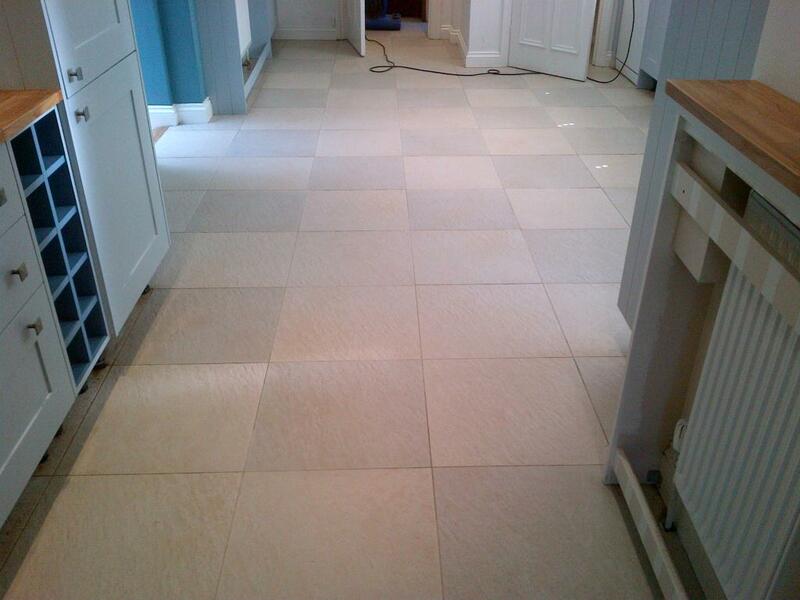 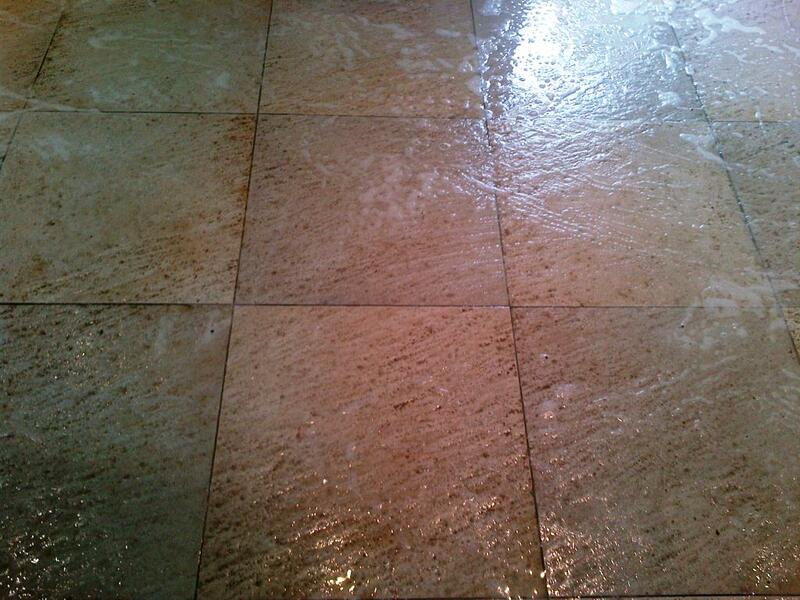 The floor was rinsed twice again and I re-grouted the areas which needed it. 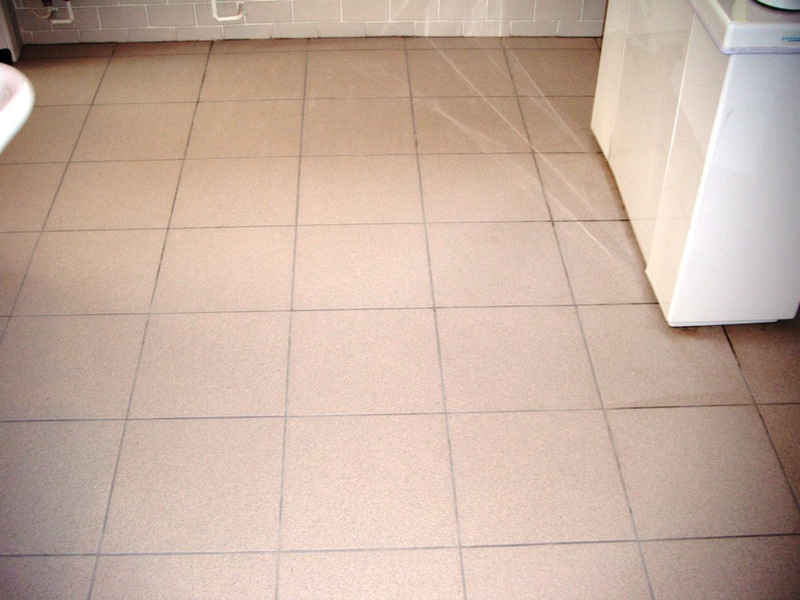 The floor was dried with a wet vacuum and then it was left to dry for two days. 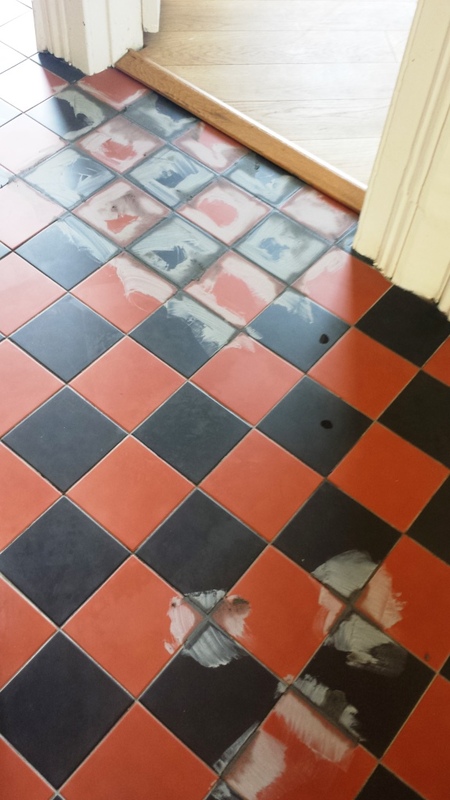 On my return I checked the damp levels again before starting to seal the floor with three coats of Tile Doctor Seal and Go which also adds a nice shine to the tile. 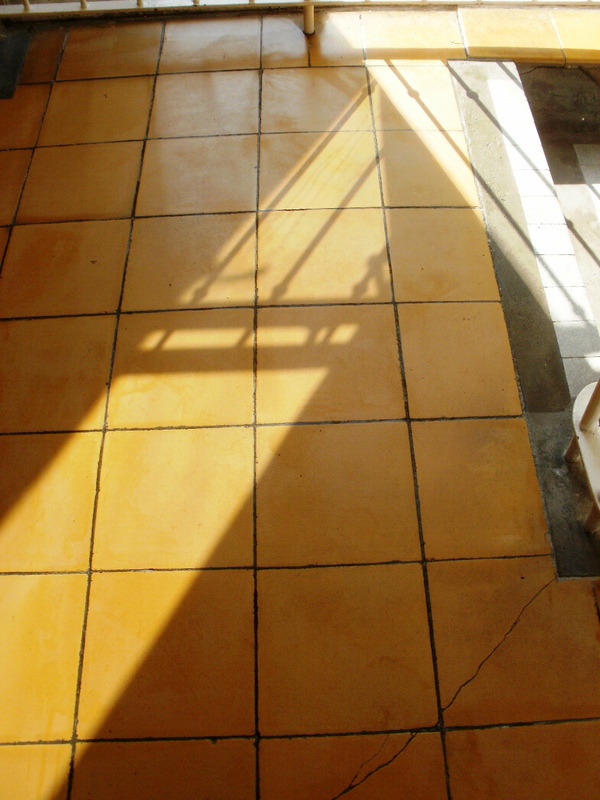 Caution should be applied to this type of tile as streak marks can be prominent when applying the sealer, in my experience I find as soon as the sealer is applied to the tile with a paint pad a cloth or any other method it marks the tile. 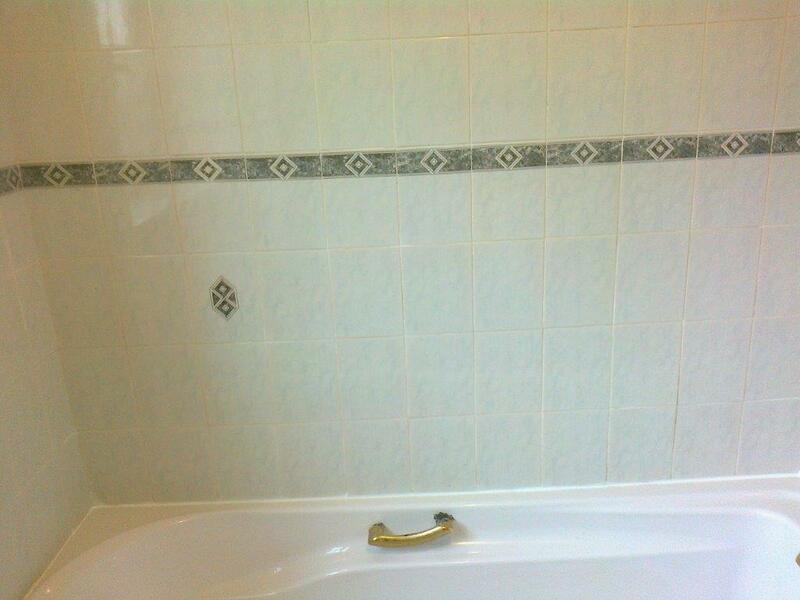 It’s possible I’m just a being a perfectionist as the customer was thrilled with the finish. 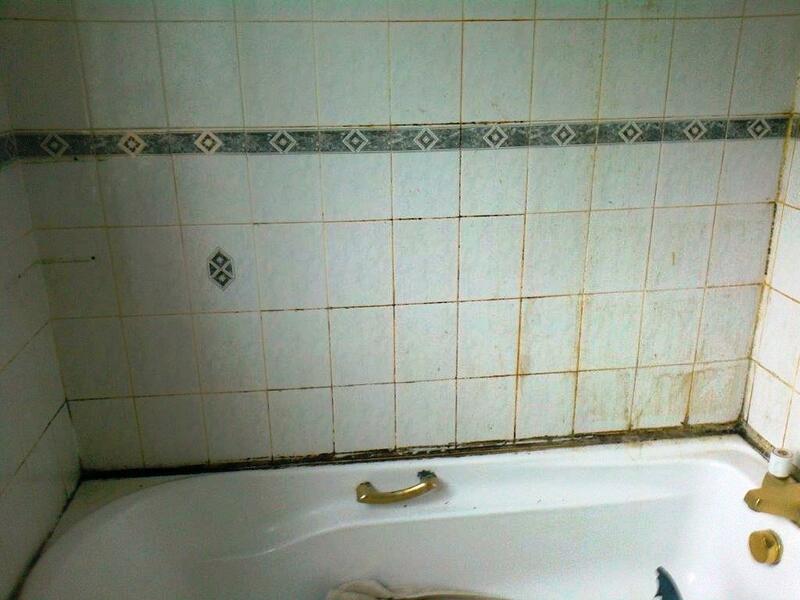 These grubby looking Textured Ceramic Tiles were in a bathroom of a house in the old village of Narborough near Leicester. 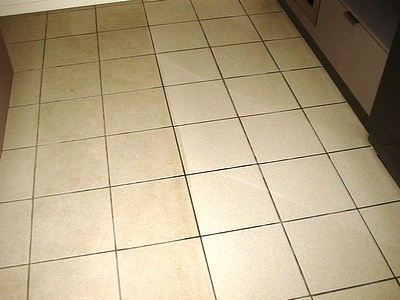 As you can see from the picture below they were overdue for a deep clean and the customer has been struggling to do that. 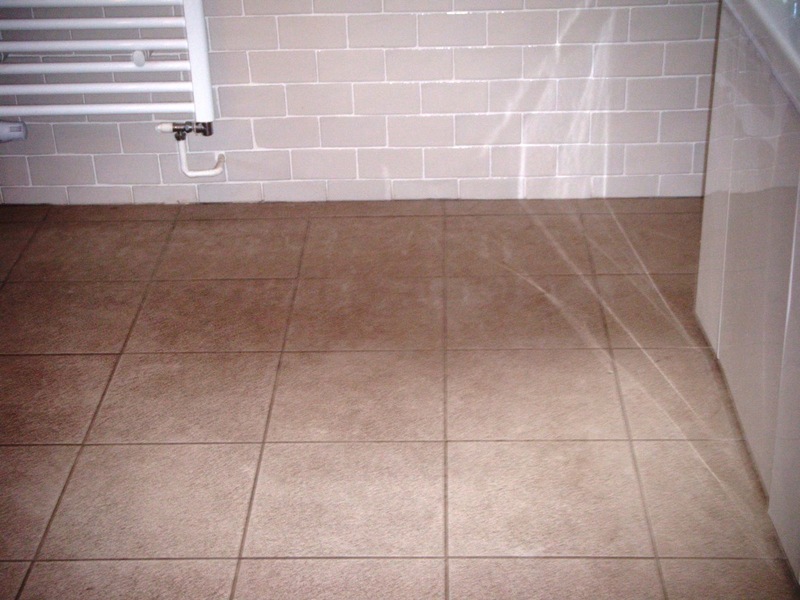 On inspection it was clear that the textured surface which was designed to prevent slipping has become ingrained with dirt making them difficult to clean and therefore lose appearance. 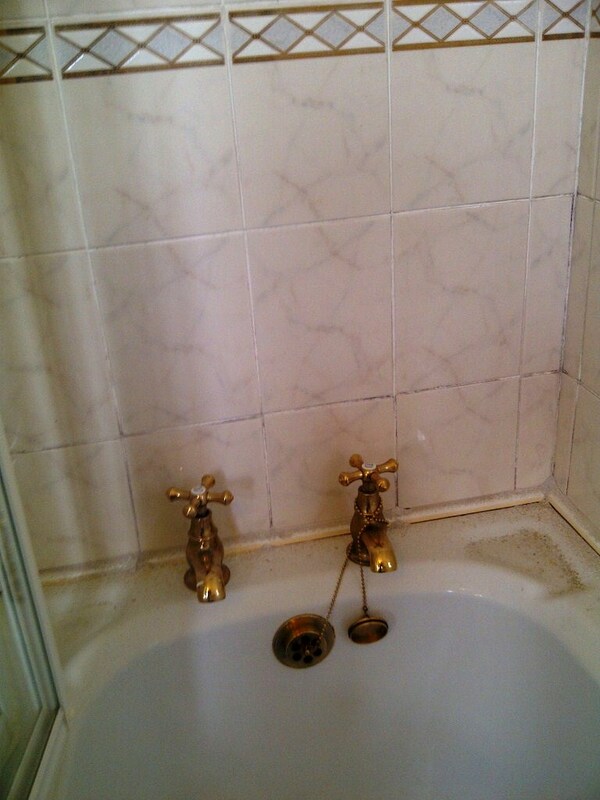 This can be a problem with a rough surface and so to prevent dirt building up the surface is sealed, however sealers do wear off after a few years depending on use and I suspect this is what happened here. 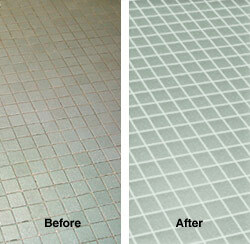 To remove any remaining sealer from the less worn areas and clean the tile and grout a strong dilution of Tile Doctor Pro-Clean was applied and left to soak in to the surface for around ten minutes before scrubbing it into the tile with a rotary machine fitted with a black scrubbing pad and also a stiff hand brush along the grout lines. 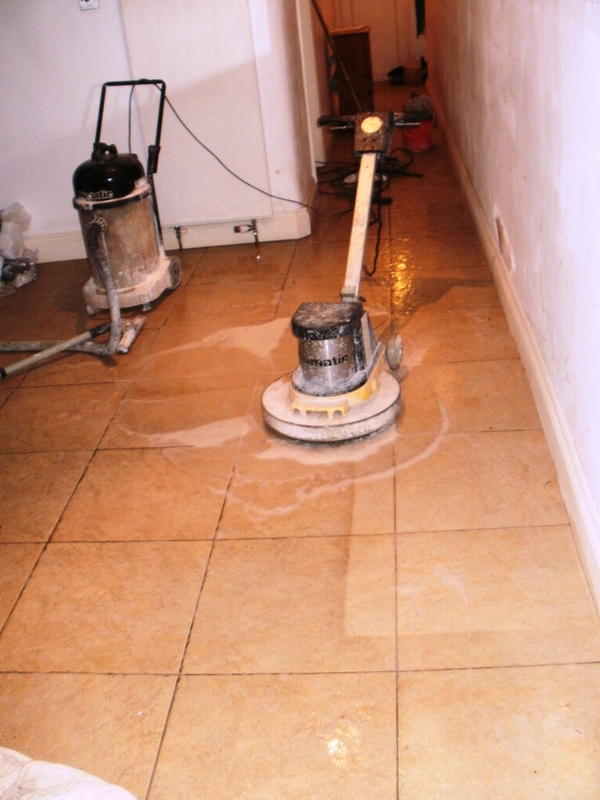 The floor was then rinsed down with fresh water which was removed with a wet Vacuum. 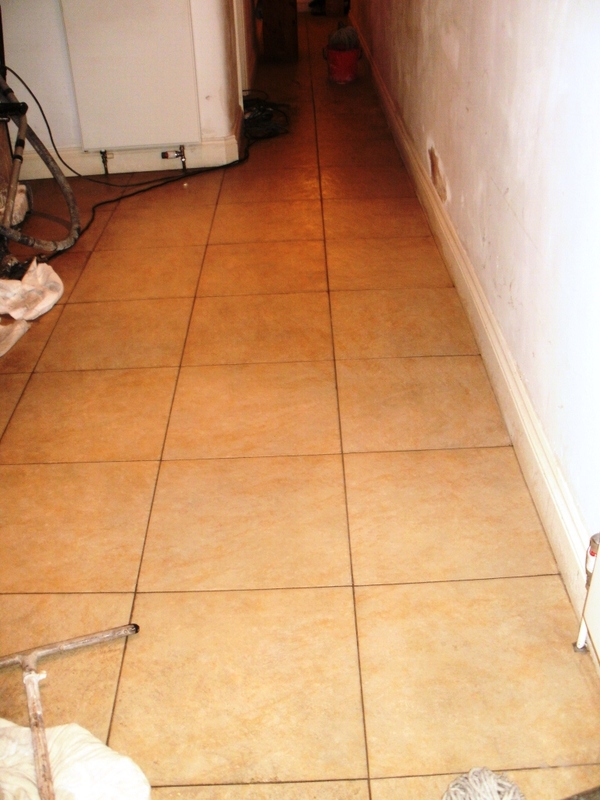 This stripping and cleaning process was repeated until the tile and the grout was looking new again after which the floor was given a thorough rinse in order to remove any trace of product and then dried as much as possible using the wet vacuum. 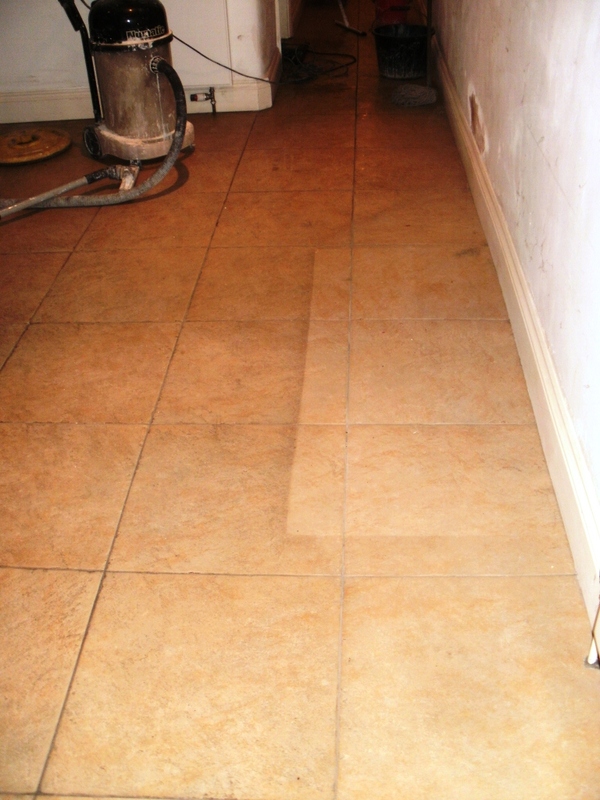 We left the floor to dry and then came back two days later to seal the floor, testing it first with a damp meter to ensure it was dry. 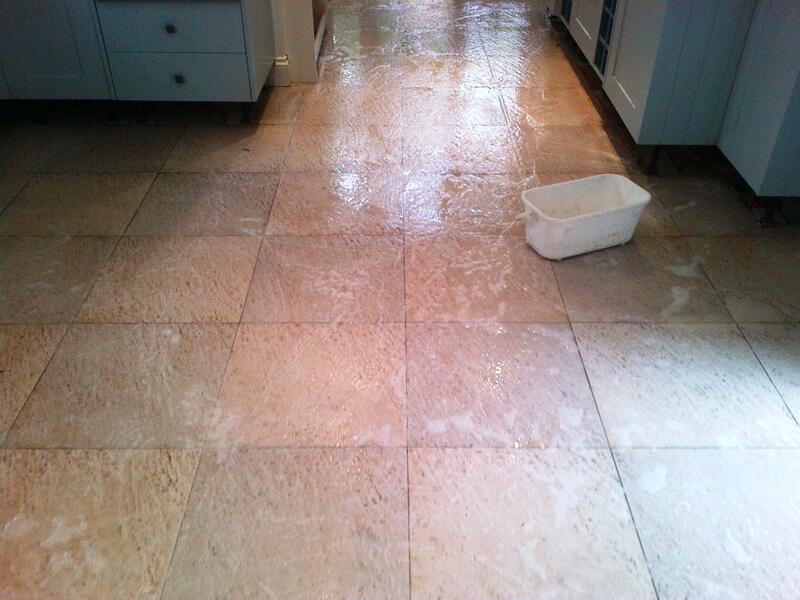 The two days was enough time to dry it out so we moved on to seal the floor using two coats of Tile Doctor Colour Grow which is an impregnating sealer that occupies the pores in the tile providing strong stain protection as well as lifting the colour. 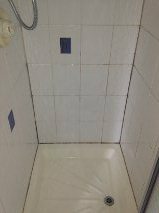 I think you will agree the floor tile and grout look much cleaner and the new sealer will make it much easier to clean going forward. 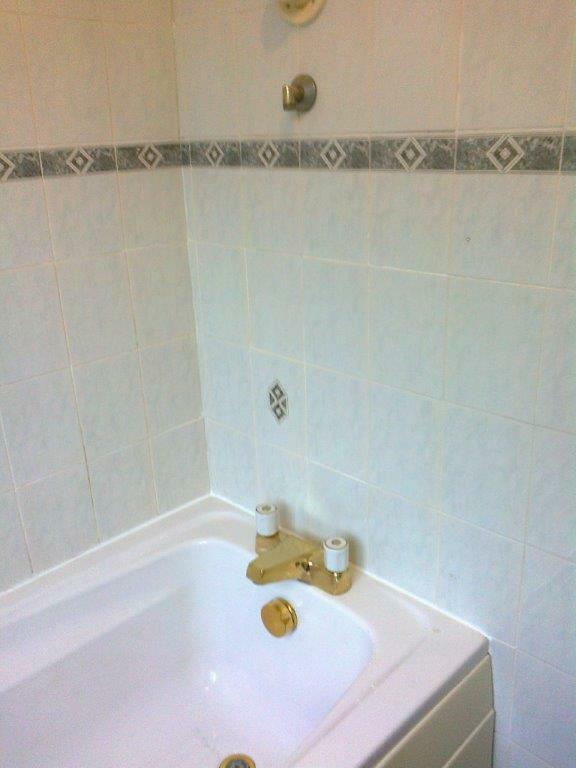 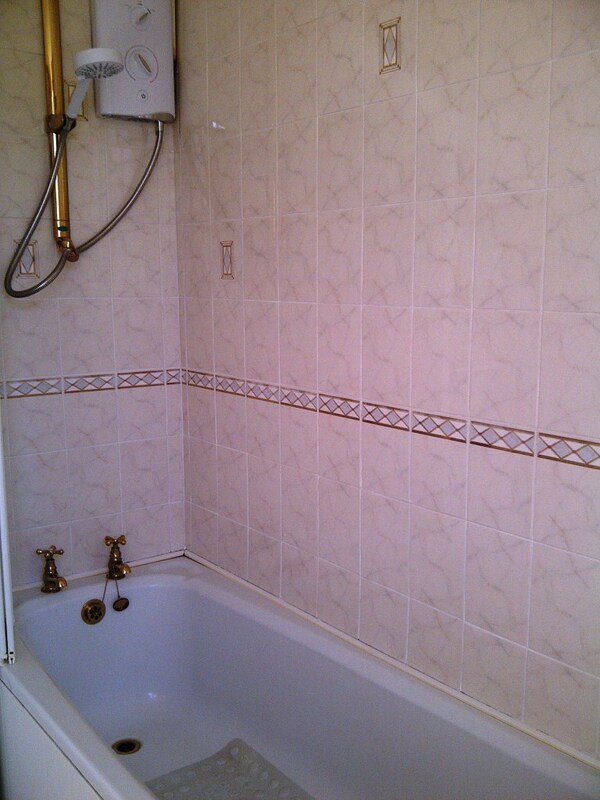 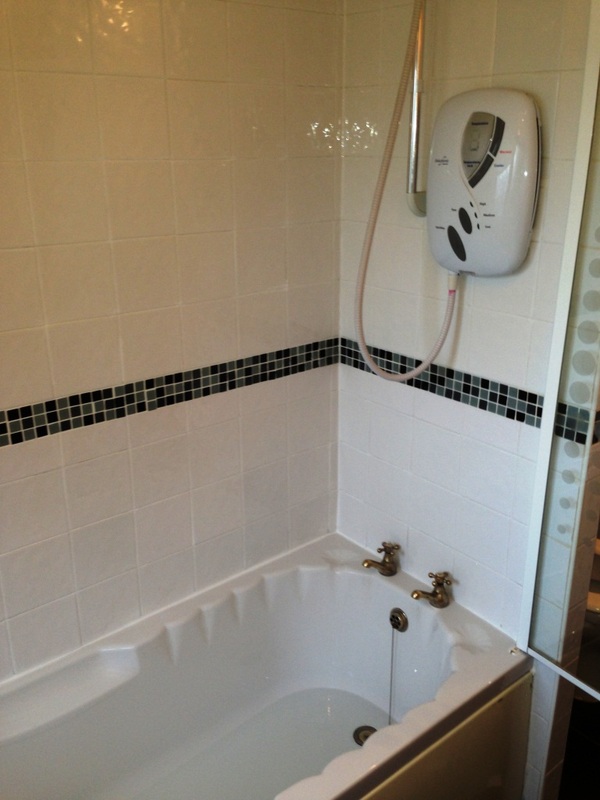 This Ceramic tiled bathroom with shower was installed at house Wilmslow and was overdue a refresh. 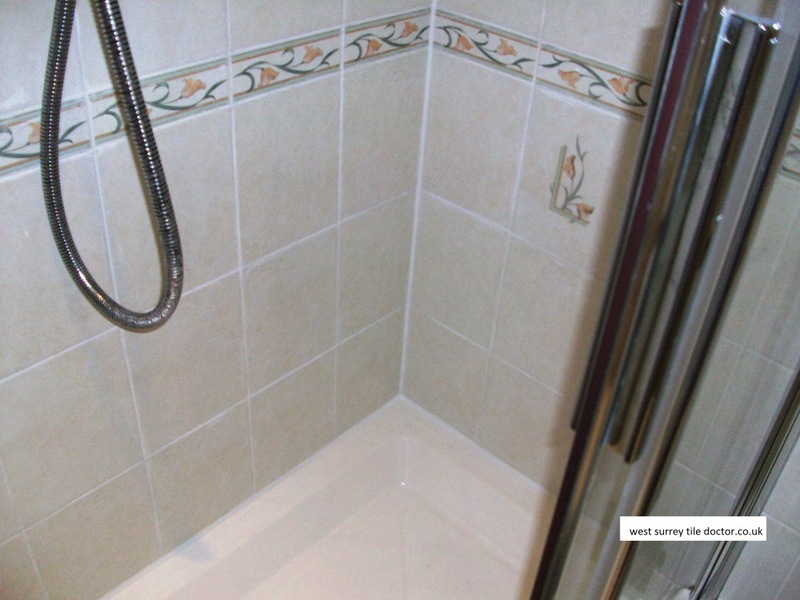 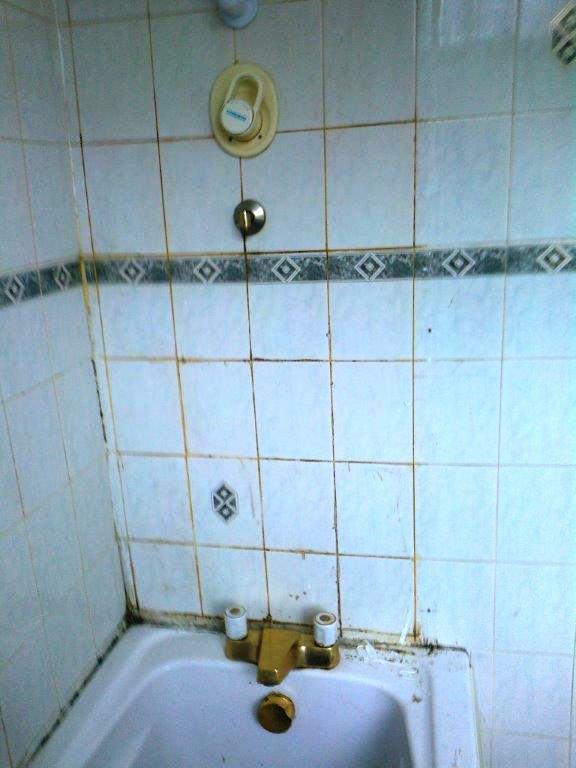 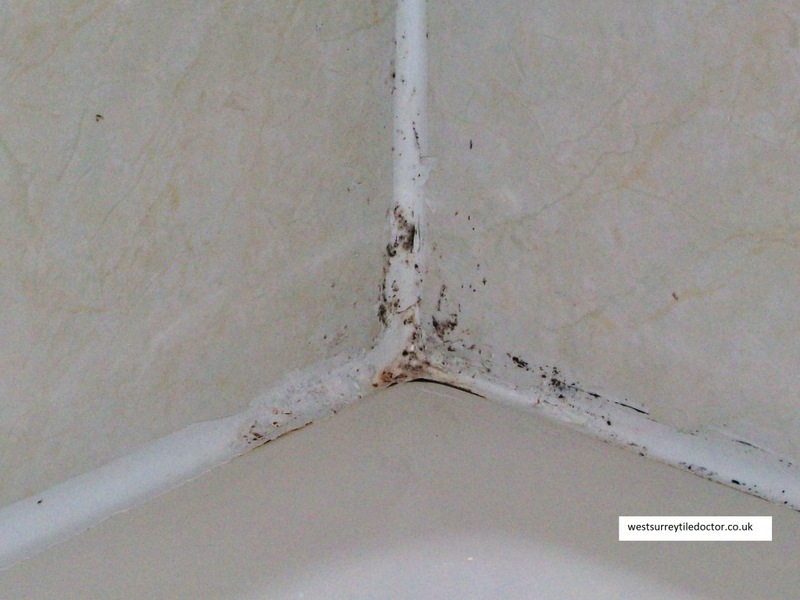 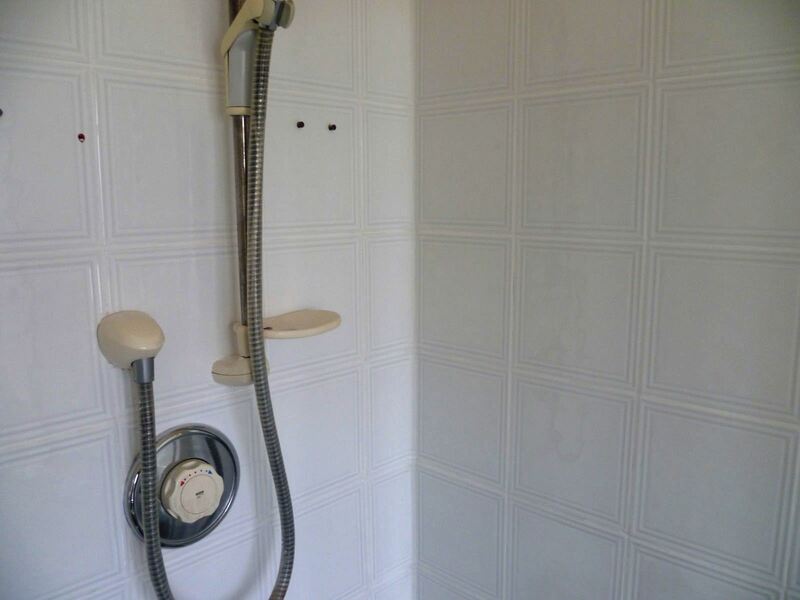 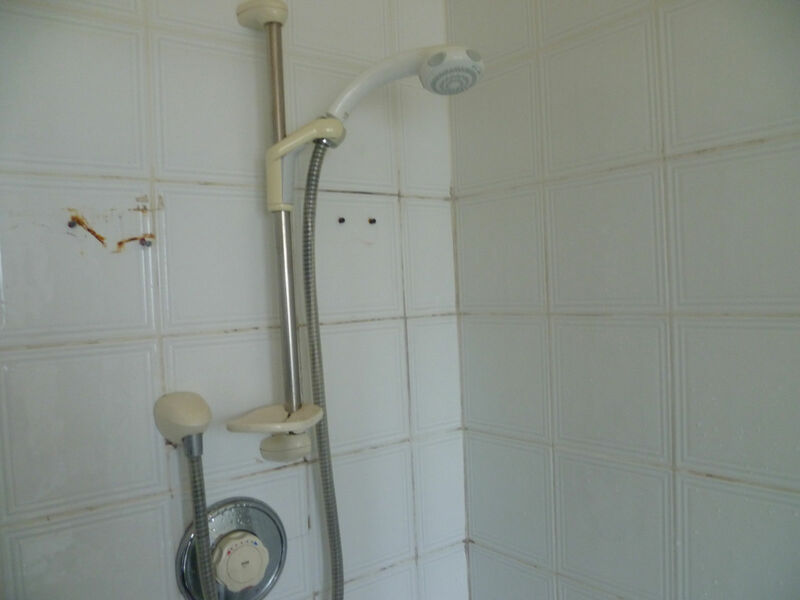 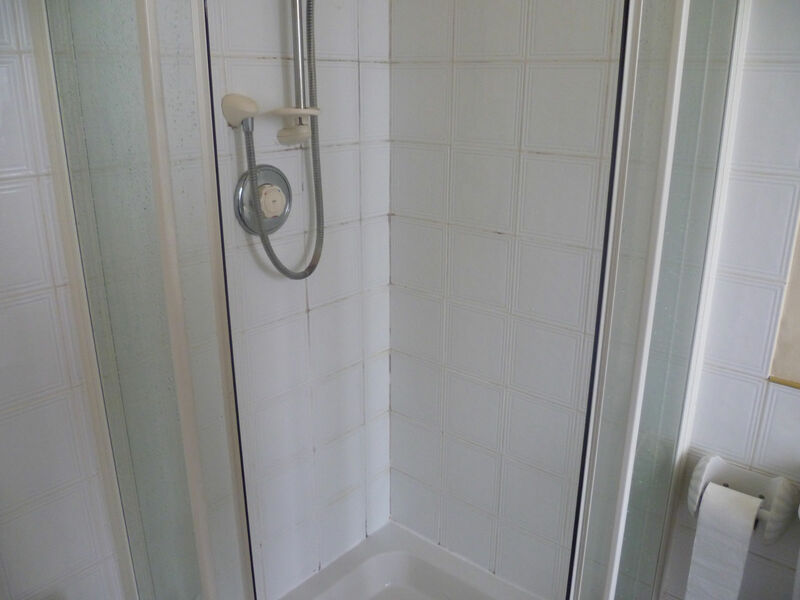 You can see from the photographs below that the bathroom was looking tired and the tile and grout was discoloured with mould and acid build-up from washing products. 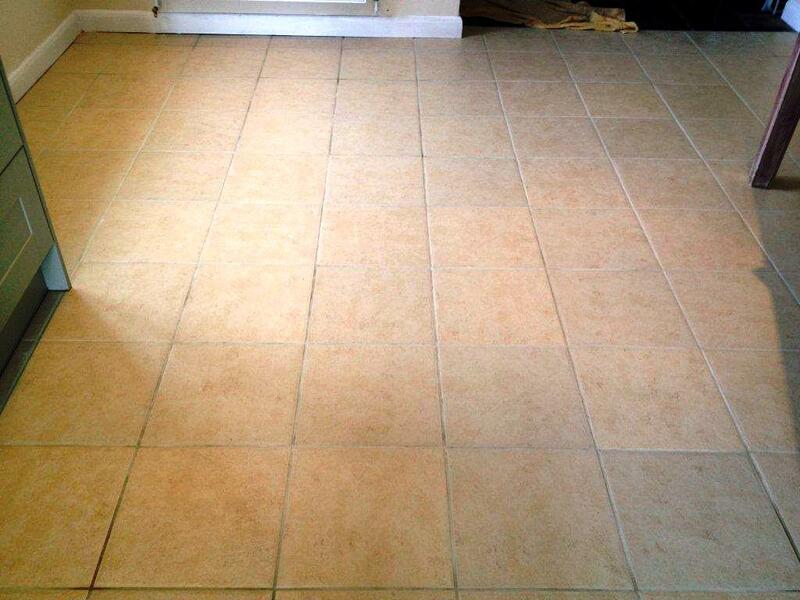 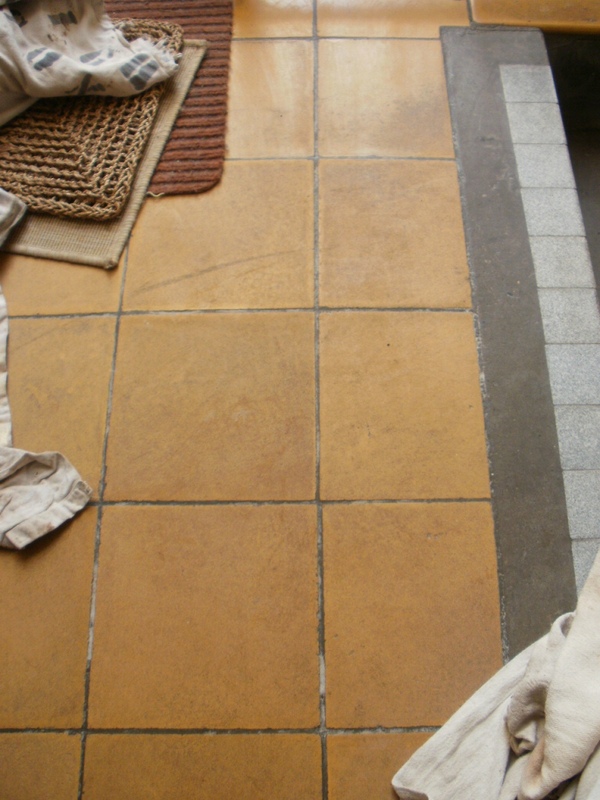 The Ceramic tiles and grout were treated using a strong 2:1 dilution of Tile Doctor Pro-Clean which is a strong alkaline Tile and Grout cleaning product. 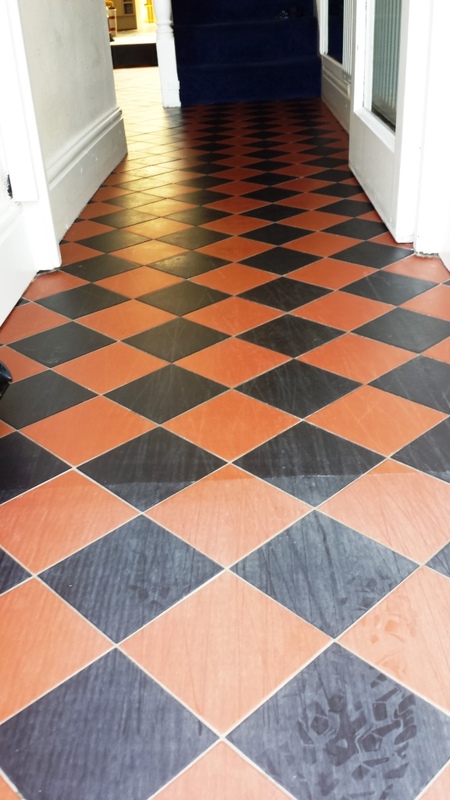 The solution was decanted into a bottle with a trigger spray attachment which when sprayed onto the wall allows the cleaner to mix with air making it lighter and allowing it to stick better. 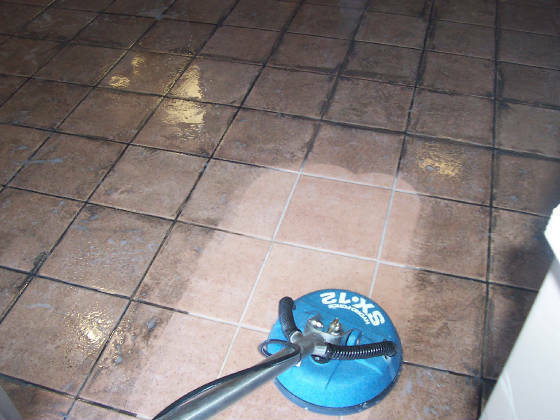 The solution was then worked in using a stiff scrubbing brush by hand before being rinsed off with water; this process was repeated a number of times until we had managed to clean all the areas and then left to dry. 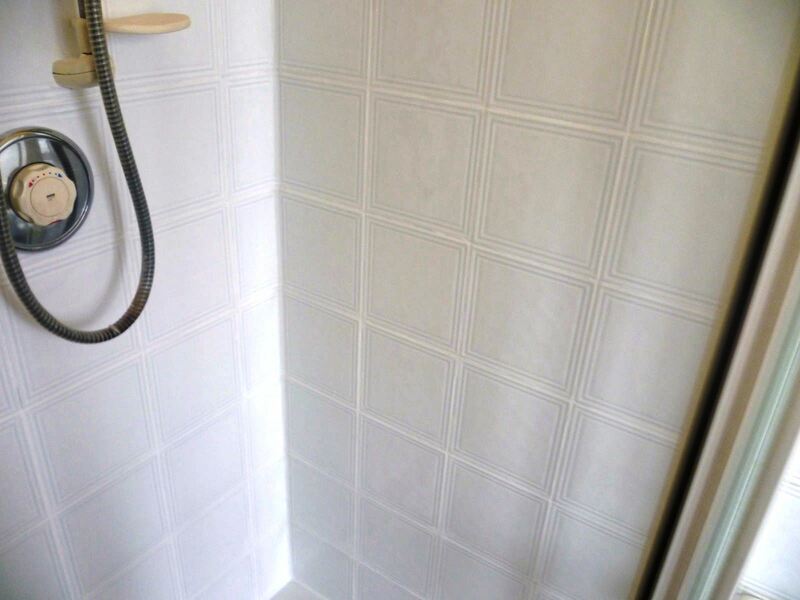 The grout looked better but I was unable to shift some of the staining so we decided to apply a white Grout Colourant, it’s a time consuming process but I think you will agree it made a big difference. 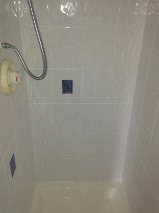 Additionally the grout colourant product we use also forms a barrier over the surface making the grout much easier to clean going forward. 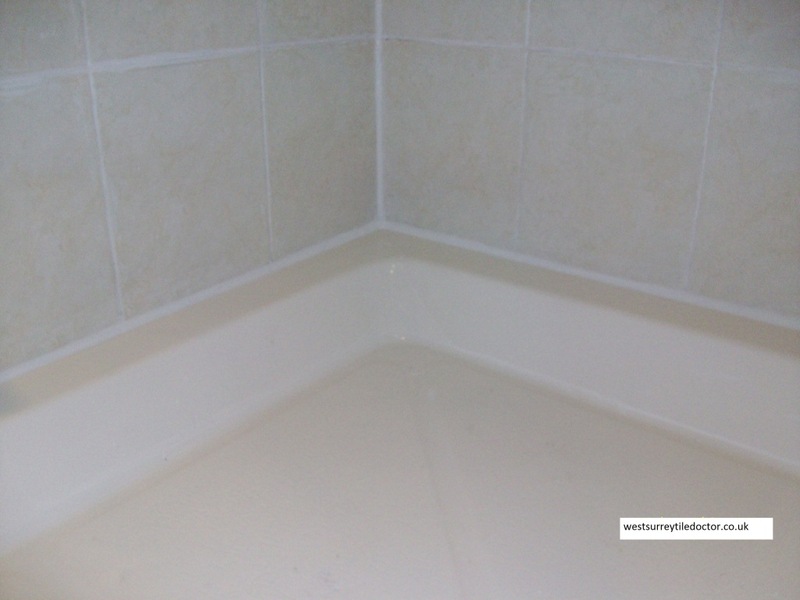 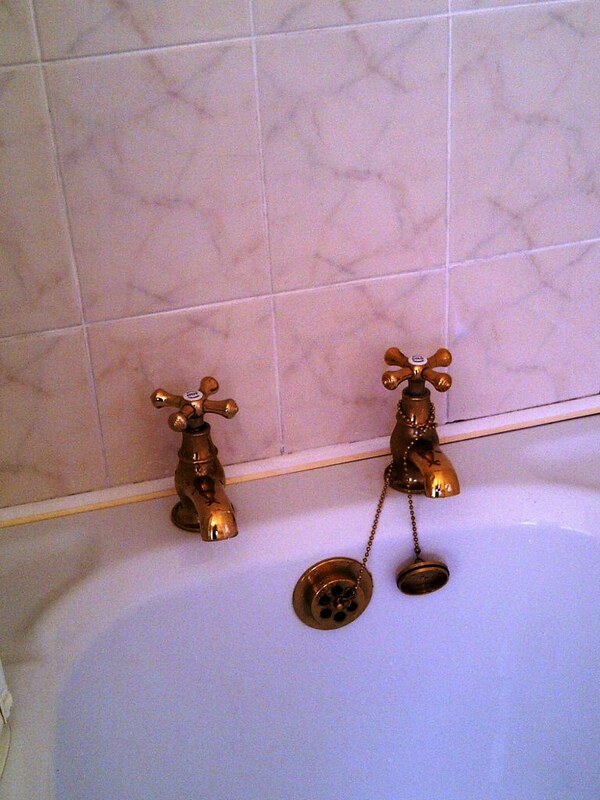 The last step was to remove the silicone sealant from along the top of bath and replace with new.